An IPL Photofacial is a non-abrasive, non-invasive procedure that works to rejuvenate your skin using the latest technology of a StarLux® Intense Pulsed Light (IPL) system. 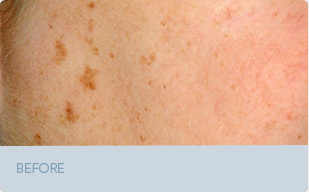 Customized to suit your skin type and condition, an IPL Photofacial can improve the signs of sun damage, rosacea and brown spots on the face, hands and body. 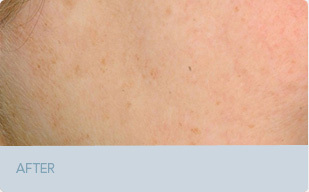 The device delivers intense pulses of light directed at the skin's surface to improve texture and tone while removing age spots, brown and red spots, freckles, rosacea and broken blood vessels. Treatment typically involves 3-4 sessions lasting about 20 minutes each, and since the entire procedure is non-invasive, you are welcome to resume your normal activities immediately following each session. But remember, sun exposure is off limits after any laser procedure. It is imperative you do not get sun after any laser device or chemical peel, as your skin will be too sensitive to exposure.